Romantic scene of a couple watching floating lanterns. 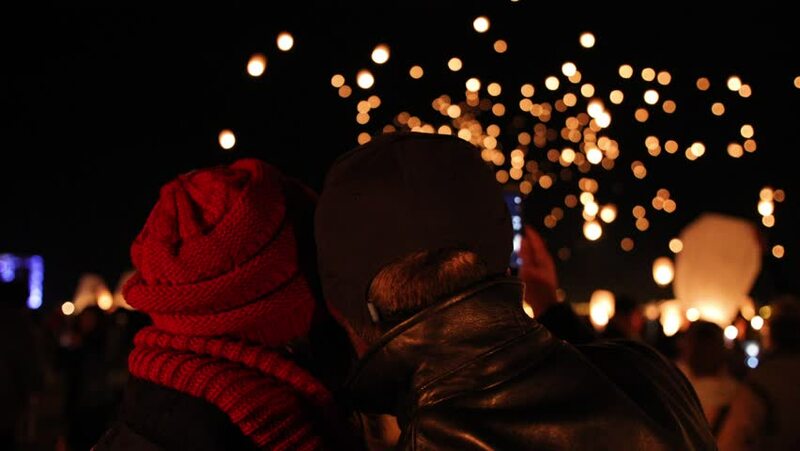 Thousands of lanterns fill the night sky creating a beautiful and cute love scene. hd00:09GABROVO, BULGARIA - NOVEMBER 5: For the first time, several hundred Bulgarian youth organized a collective drop of more than 1,000 illuminated balloons on November 5, 2012 in Gabrovo, Bulgaria.